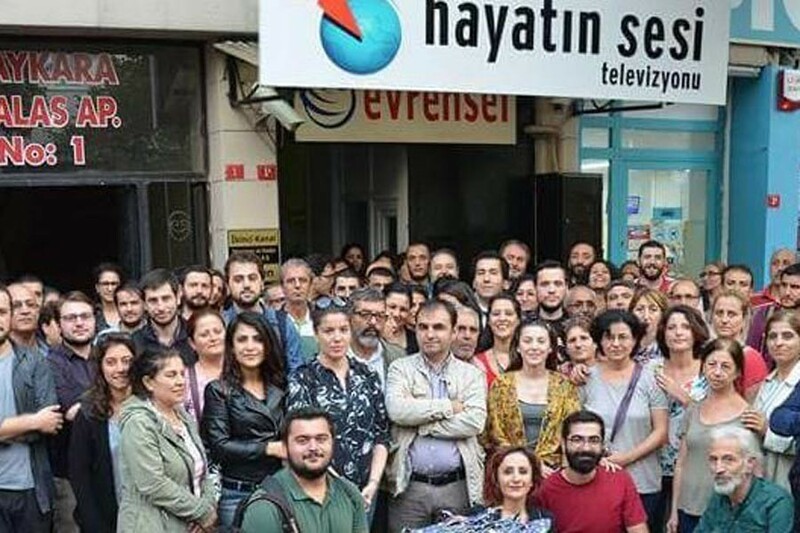 The owners and managing director of a left-wing Turkish television channel closed by decree in the wake of the July 2016 failed coup attempt each face up to 13 years in prison on charges of putting out propaganda for multiple terrorist organisations, left-wing Evrensel newspaper said. Owners Mustafa Kara and İsmail Gökhan Bayram and managing director Gökhan Çetin stand accused of “mass-produced (terror) organisation propaganda” for groups including Islamic State, the Kurdistan Freedom Falcons (TAK), and the Kurdistan Workers’ Party (PKK) on Hayatın Sesi television. They also each face seven-and-a-half year sentences on charges of producing “propaganda aiding terrorist groups”. “Among the accusations are broadcasting the response of a citizen to the terrorist attack in Ankara and interviews with citizens from Cudi neighbourhood (in Cizre) about what had happened in Cizre (in Turkey’s majority-Kurdish southeast). Defending peace and an end to deaths is generally viewed as equivalent to ‘terror group propaganda’,” Çetin told the court at an earlier hearing in November. The next hearing in the case will be on April 24. HayatÄ±n Sesi yÃ¶neticilerine 13'er yÄ±la kadar hapis istemi! HayatÄ±n Sesi davasÄ±nda savcÄ±, Ã§alÄ±ÅanlarÄ±n 'zincirleme Åekilde Ã¶rgÃ¼t propagandasÄ±' yaptÄ±klarÄ± iddiasÄ±yla ayrÄ± ayrÄ± 13 yÄ±la kadar hapsini istedi.